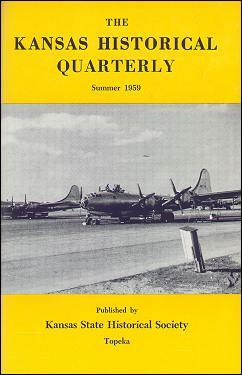 "U. S. Army and Air Force Wings Over Kansas (In two installments, Part One)," p. 129. Emory Lindquist, ed., "The Letters of the Rev. Samuel Young Lum . . ." p. 172. James C. Malin, "William Sutton White, Swedenborgian Publicist: Part Two, Kansas Examples of the Philosophy of Emanuel Swedenborg and Herbert Spencer -- Concluded," p. 197. "B-29 Super Fortresses of the Smoky Hill Army Air Force Base, Salina. Official photo U. S. Army Air Force."